Villagio Kensington condos boast fine living in a magnificient luxury building. Located in gorgeous Kensington, Villagio offers spacious and elegant suites with high ceilings, open-concept floor plans, oversized windows and countless extras. Villagio condos are part of a three-storey building, boasting a total of 12 beautiful luxury units. The lowrise has recycled weathered bricks from a 1910 heritage building, blended with large glass panes, and is one of the city's most attractive lowrise buildings. Thanks to Villagio's phenomenal Kensington location, owners can easily walk to nearby boutiques and eateries, as well as the city's popular river pathways. Downtown Calgary is also within walking distance and numerous convenient transit routes intersect with the area. 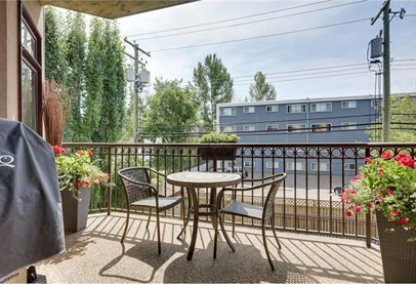 Explore current Villagio listings below or learn more about Villagio Kensington condos! Villagio is a La Costa Housing masterpiece, and serves as the developer's first multi-family development. The Villagio Kensington condos are a unique Calgary landmark, utilizing insulated concrete form technology. The building has essentially been built from large slabs of concrete, layered with polystyrene insulation, and became a leader in concrete construction for Western Canada. This design allows for superior sound-proofing and an extremely fire-safe design, ensuring the safety and comfort of all Villagio condo owners. Residents and visitors alike are greeted by a 37 foot high lobby, complete with an open staircase. The New York-style lofts boast two storeys each, giving home owners an abundance of space. The kitchens are functional and elegant, bedrooms are comfortable and cozy, and bathrooms are luxurious and indulgent. Every last room of Villagio condos is magnificent. Numerous additional amenities can be found nearby, including restaurants and shops, schools, parks and entertainment opportunities. 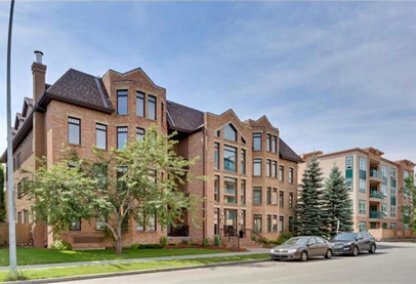 Villagio Kensington condos are an excellent choice for those who want a stunning living space in a trendy, eclectic neighbourhood. Discover your dream home with exclusive Villagio Kensington condos for sale! Contact Justin Havre & Associates to get started.